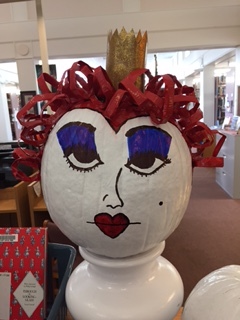 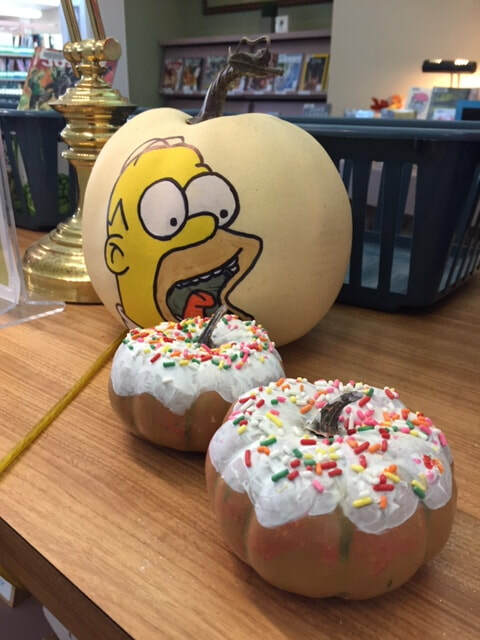 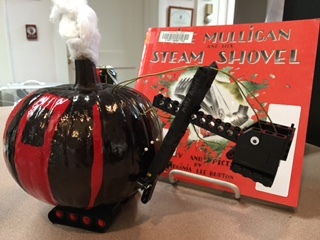 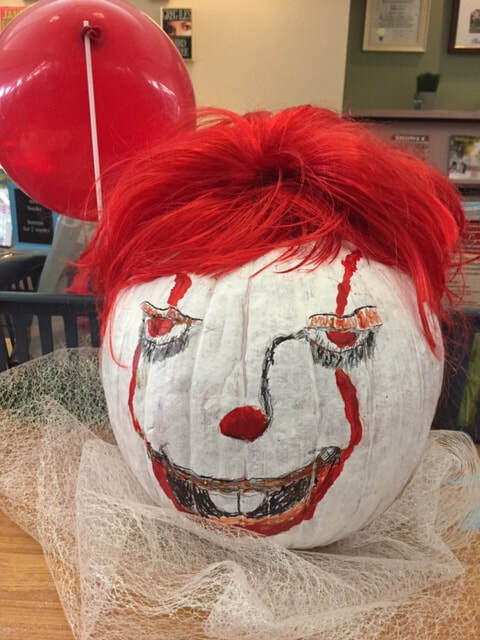 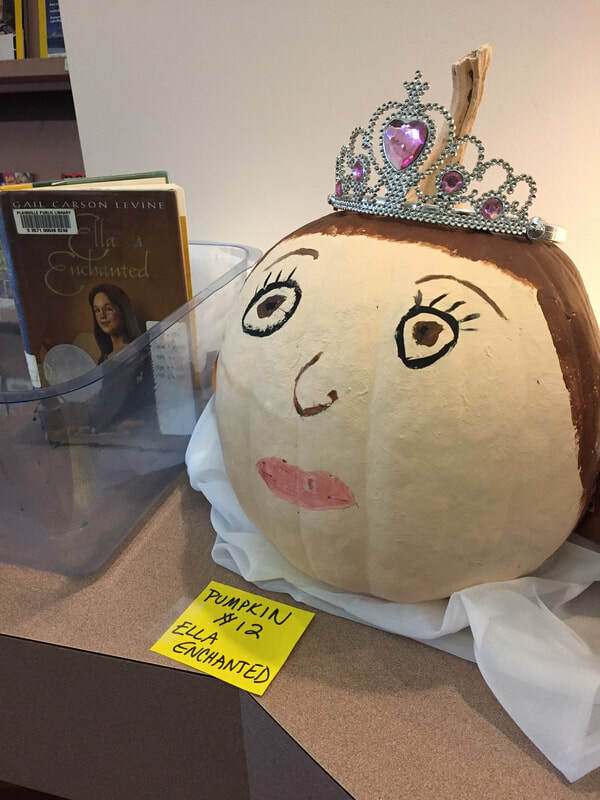 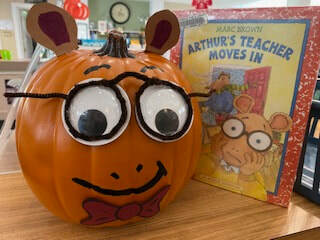 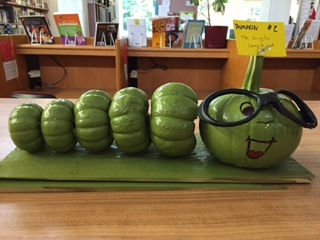 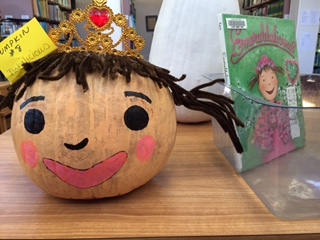 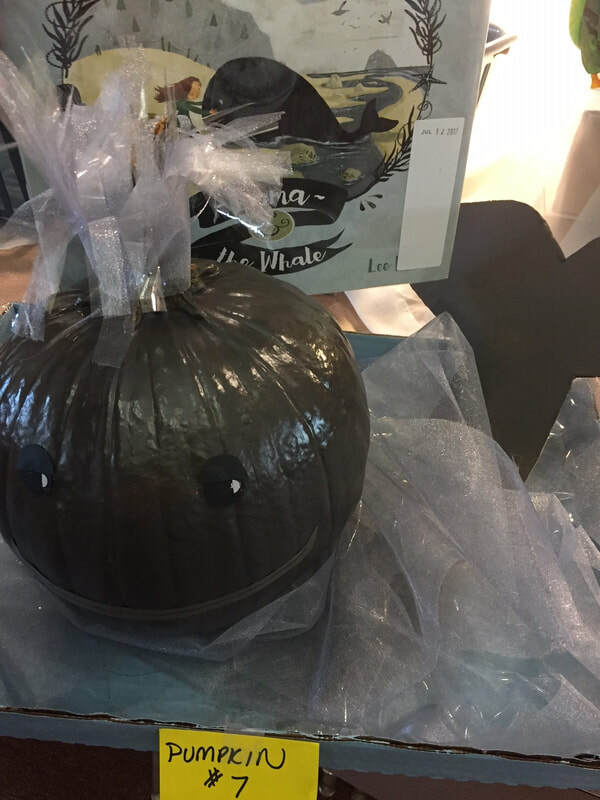 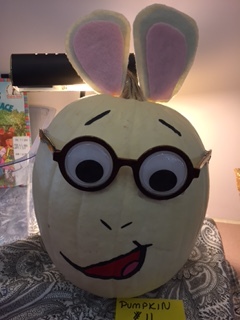 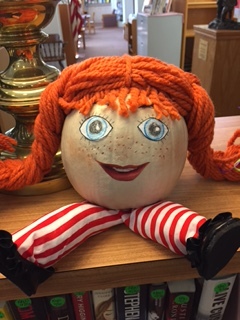 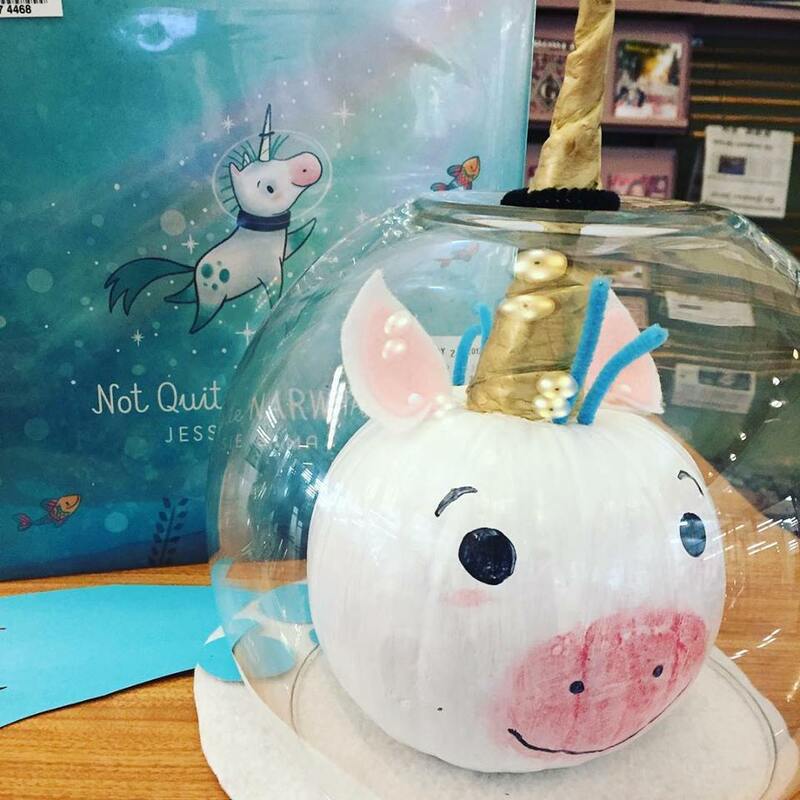 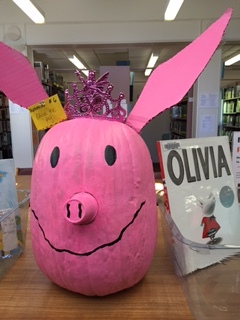 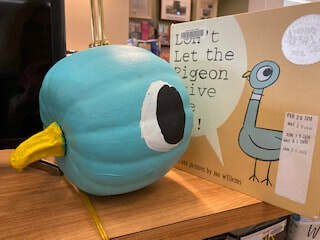 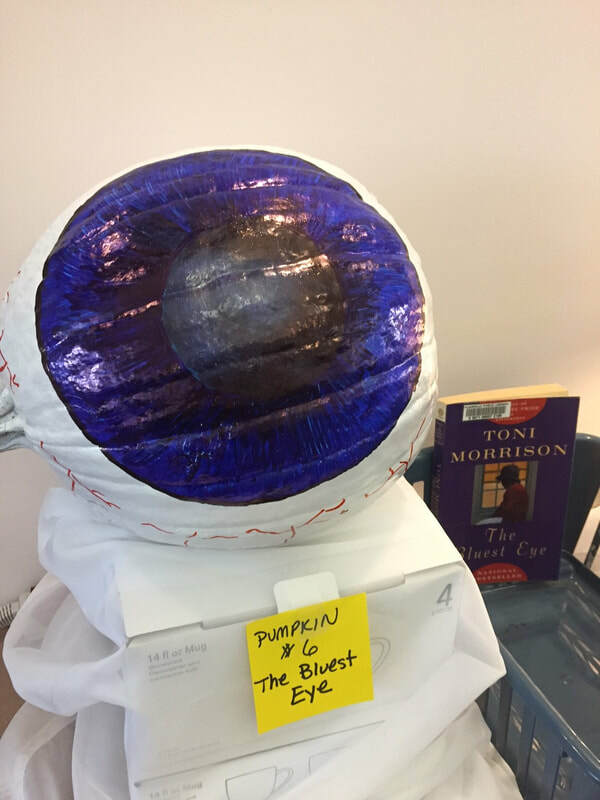 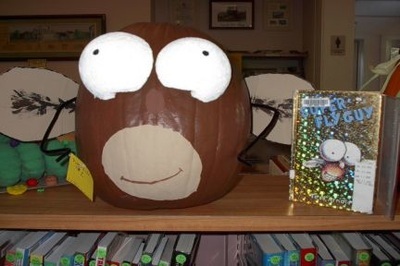 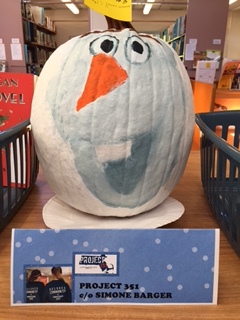 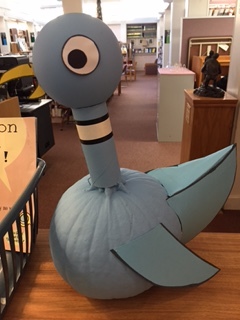 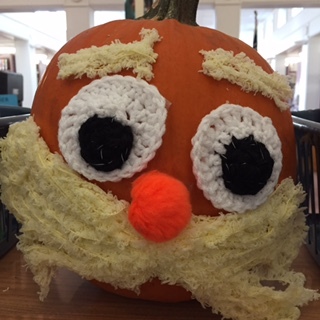 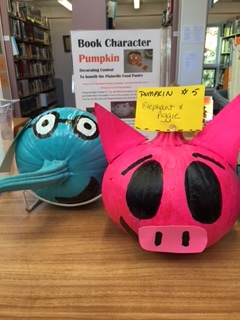 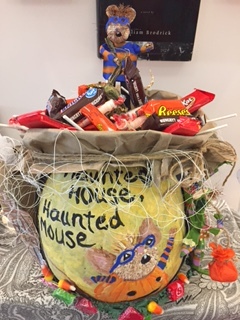 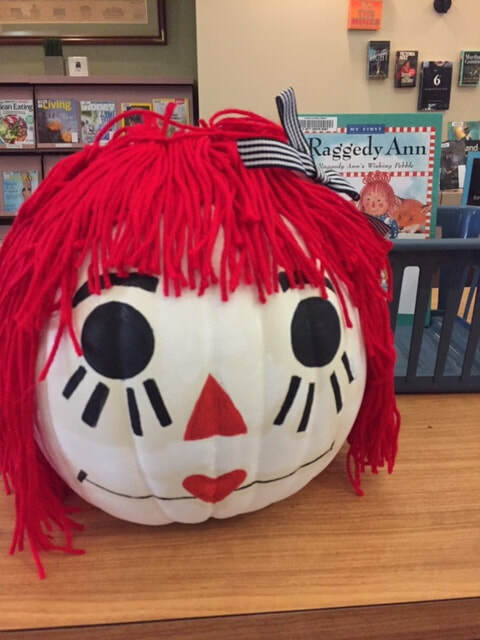 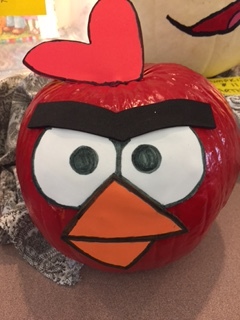 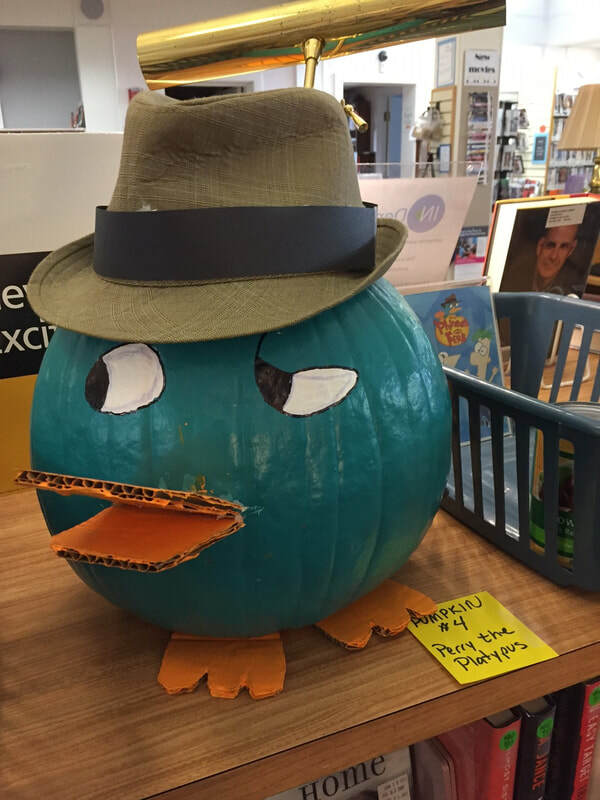 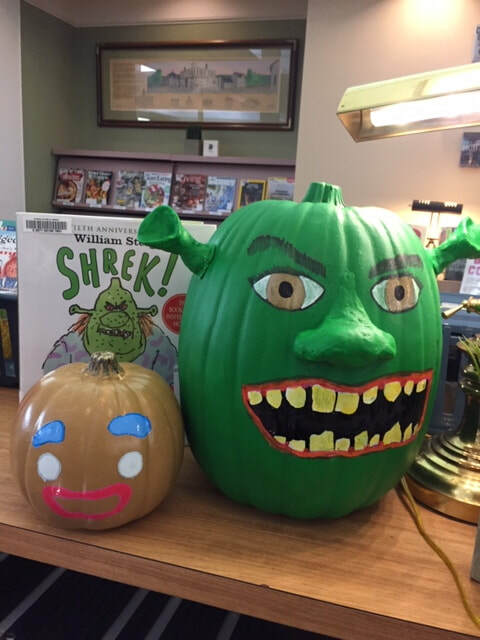 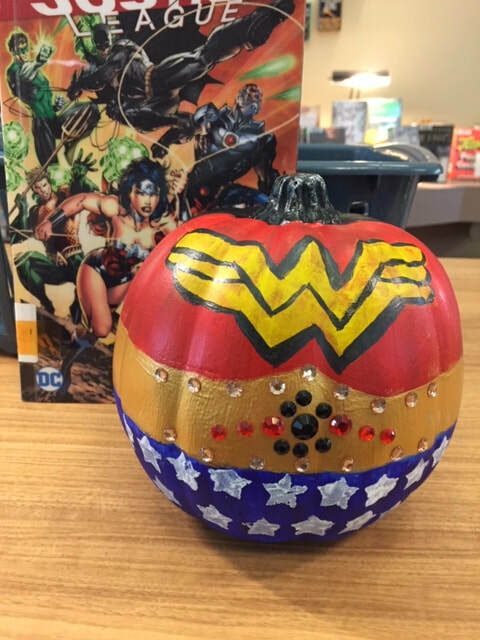 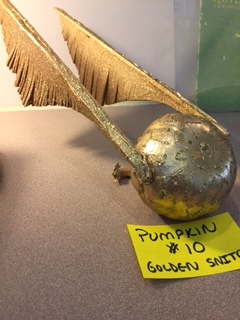 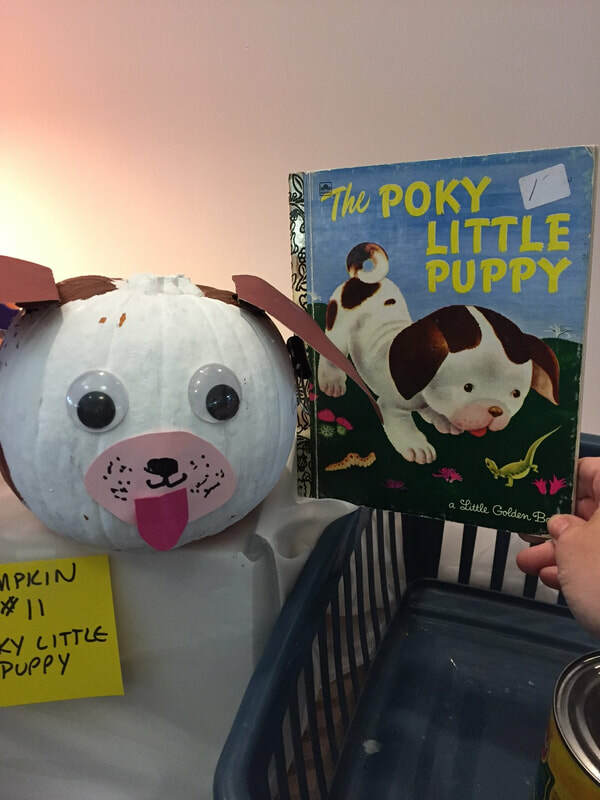 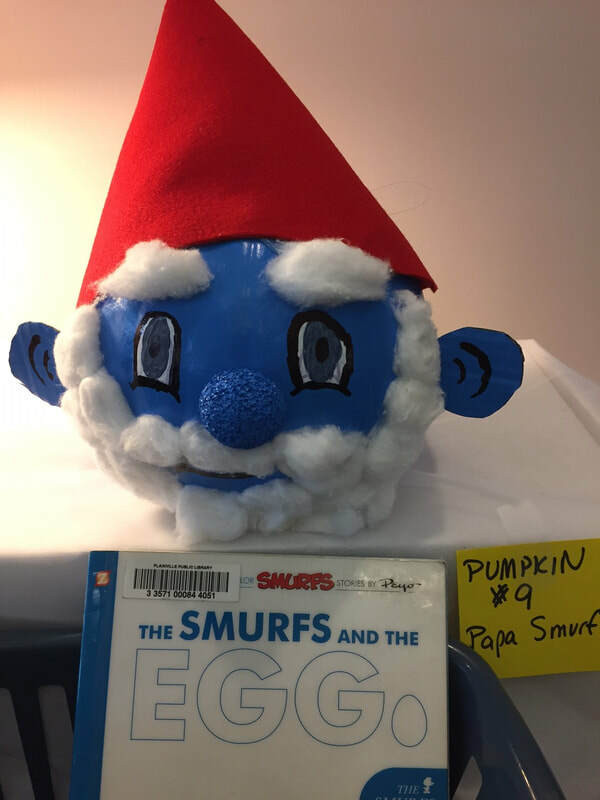 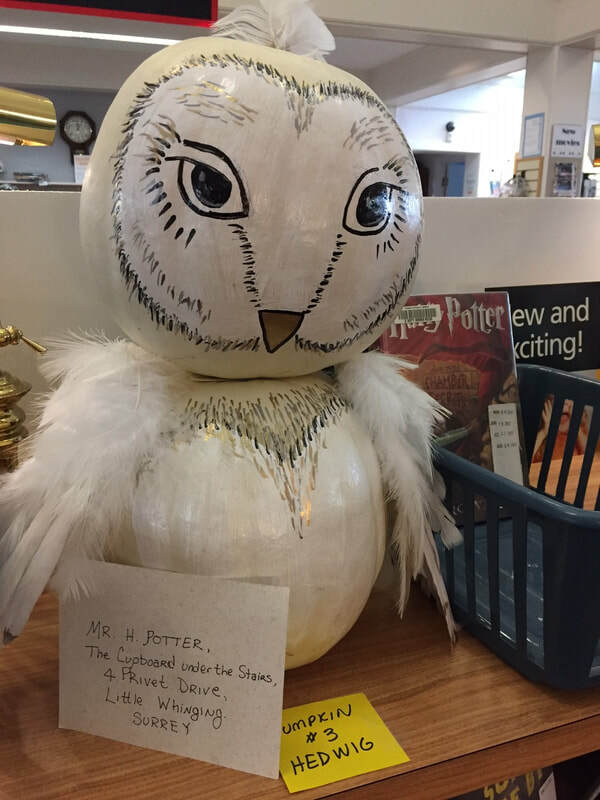 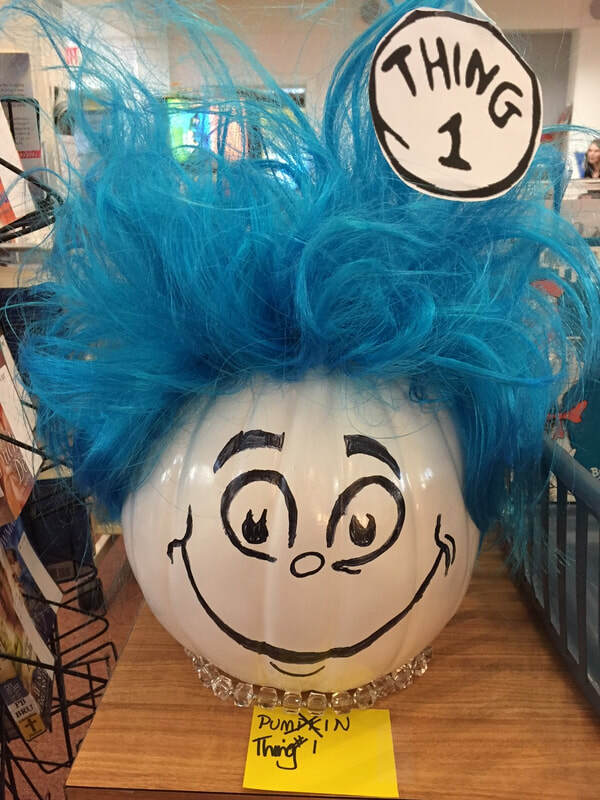 ​It's not too late - you can still bring in a pumpkin to be entered into our annual Decorating Contest to benefit the Plainville Food Pantry. 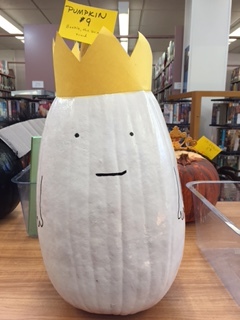 Adults, teens and kids are welcome to participate. 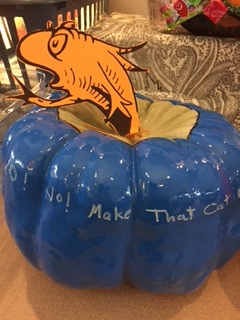 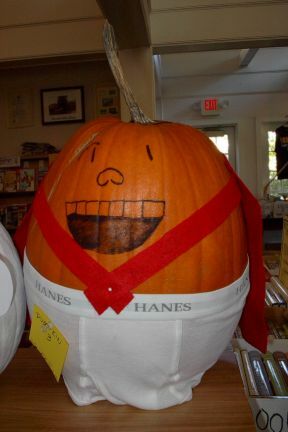 Please do not cut your pumpkin. 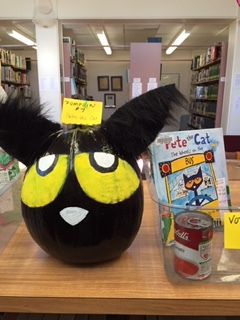 The public will VOTE between October 15 and 27 by placing a canned good in the basket in front of their favorite pumpkin. 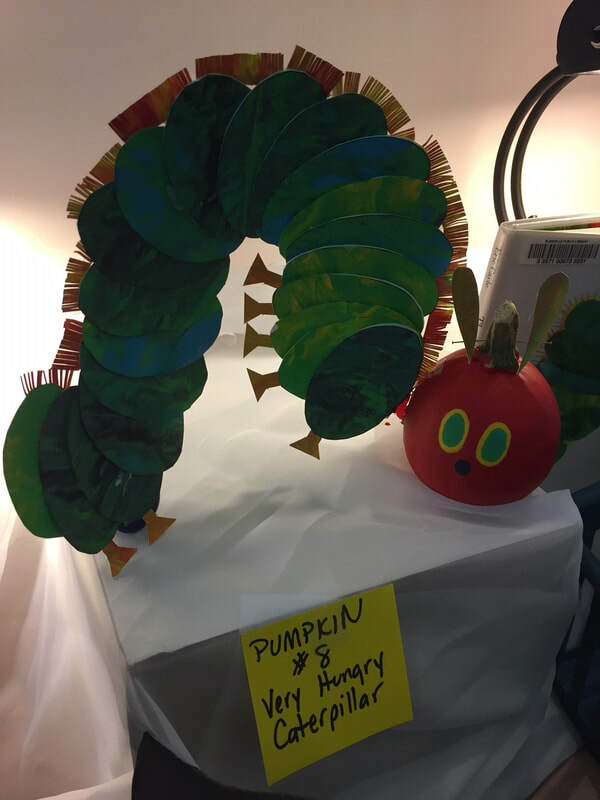 All canned goods will be given to the Plainville Food Pantry. 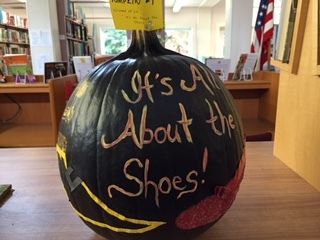 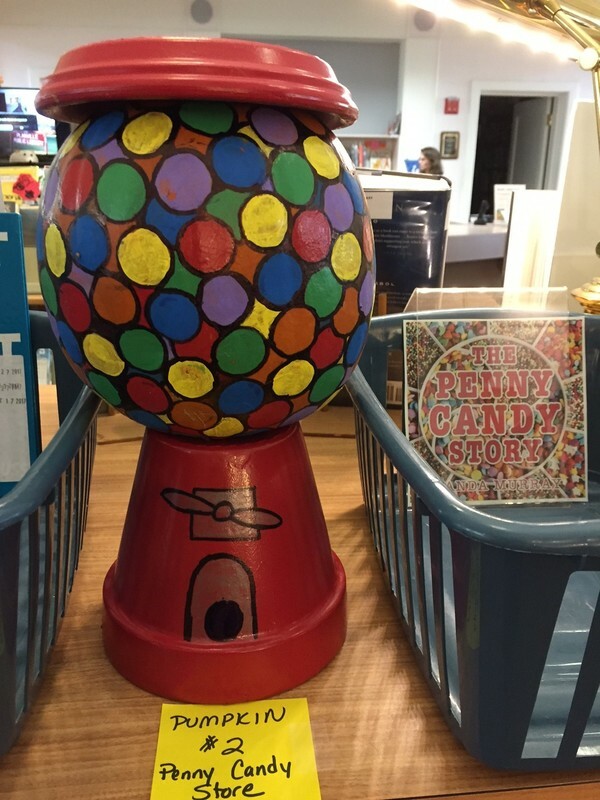 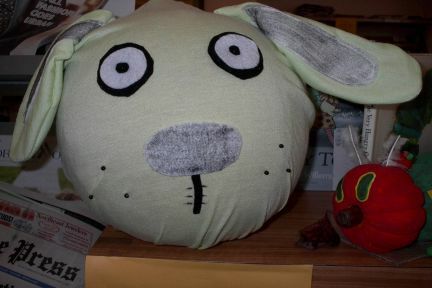 ​The winner with the most canned goods will win a prize from the Friends of the Library. 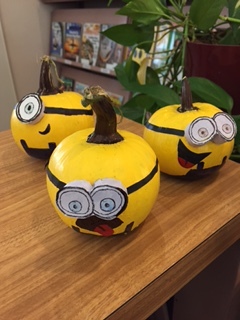 And our 2016 Pumpkin Winner is the Minions with 16 votes! 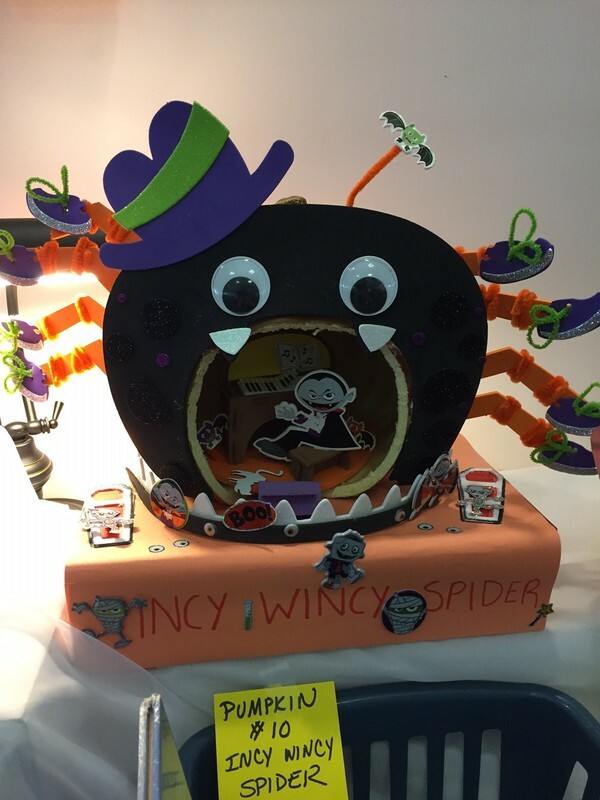 Over all 141 votes were cast and all of that food will go to the Plainville Food Pantry. 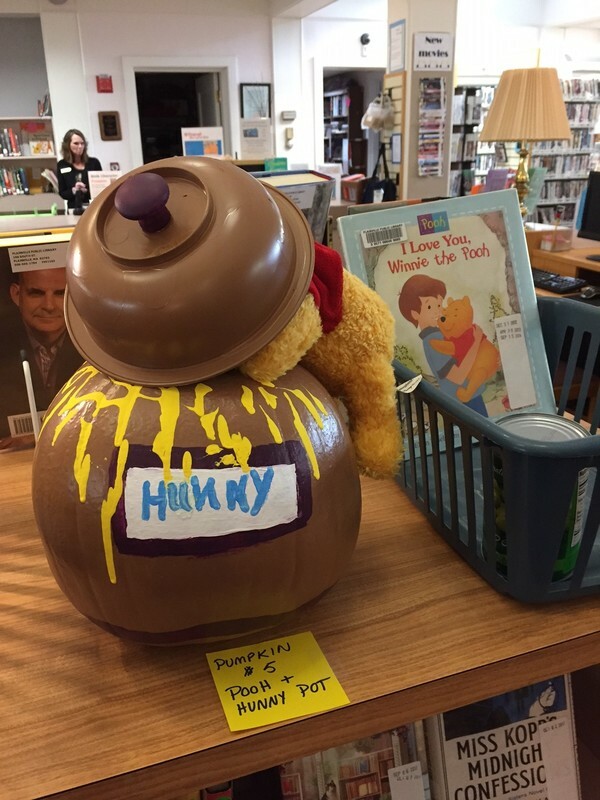 Lots of great items: from Applesauce to Tuna. 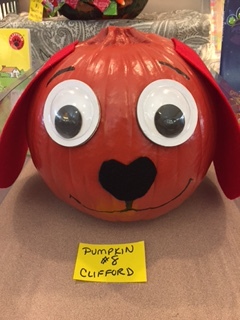 Angry Bird, Arthur, Clifford, Fish from Cat in the Hat, THe Lorax, Minions, Pigeon, Pippi Longstocking, The Red Queen, Snitch, and Haunted House, Haunted Mouse.